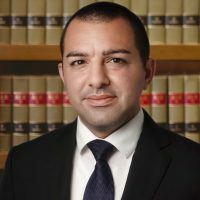 Joseph Somake represents individuals and corporations in complex commercial litigation in both state and federal courts, as well as individuals who are subject to criminal investigations and prosecutions. Prior to joining Stovash, Case & Tingley, P.A., Mr. Somake clerked for the United States Attorney’s Office for the Southern District of Florida where he worked directly with federal prosecutors on complex and high profile criminal prosecutions. From there, Mr. Somake then practiced for four years with a litigation firm in Fort Lauderdale, Florida where he gained extensive experience representing businesses and employers in all manner of commercial disputes, and in defending individuals who were subject to criminal prosecution by the federal government. Mr. Somake’s experience in litigating a wide range of complex legal issues at both the trial and appellate levels enables him to find effective solutions for his clients’ needs and ensure their matters are resolved in the most favorable way possible.